Introducing Our Brand-New Executive Assessment Masterclass! Introducing: In-Person and Online Hybrid GMAT Course! You’ve been wanting to study for the GMAT for a while, but it’s hard to find the motivation to get started. You know that if you sign up for a course, the personal engagement and structured homework will help you to stay on track. The problem? It’s summer, and you want to travel and enjoy life! Signing up for an in-person class means that you’re committed to spending every weekend in the classroom. But you’re worried that an online class won’t feel personal enough, and that you won’t feel as engaged as you would in-person. Take 50% off our GMAT® App before Halloween ends! Free GMAT Flash Cards for the iPhone & iPod Touch. While we were baffled by the spell request, we implemented the other two suggestions and produced a flaggable, gesture-realistic, and self-contained version of our flash cards that is now available in the iTunes app store for free! We hope this is finally enough for you guys because our email server is about to explode from all your flash cards requests. However, we know this isn’t the case and in a few months from now, you’ll probably be asking us to make a new version for the iPad. Well, we hope that these flash cards keep you busy for at least a little while. Also, please remember to rate the cards in the app store! Looking for advice on evaluating your practice exams? Be sure to check out this article too. If you are just beginning to look into the GMAT, we recommend reading through The GMAT Uncovered before continuing. The same information can be obtained by attending our in-person or Live Online GMAT Open House Sessions. You can read more about these programs here. If you feel like you have a good understanding of the exam, then it’s time to take a practice test! 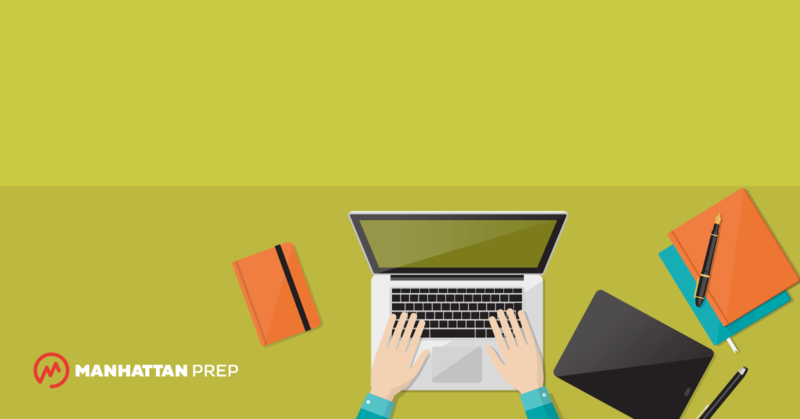 Until you’ve taken a full practice GMAT, there’s no way of knowing exactly how much you need to prepare for the exam. Fortunately, ManahttanGMAT makes this easy by offering a free computer adaptive exam that will serve as a useful diagnostic tool. 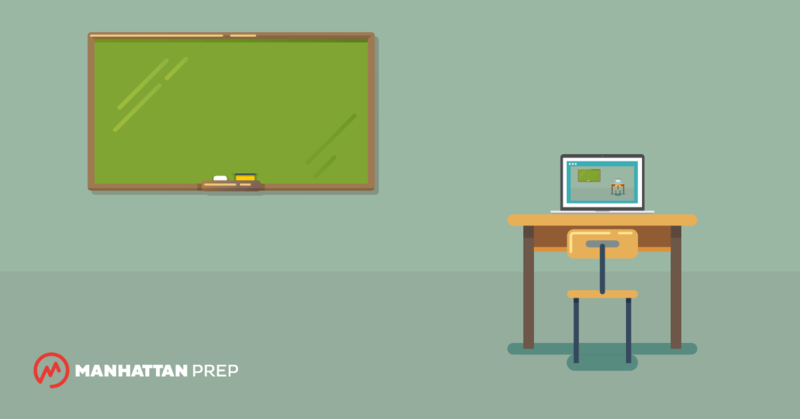 Before you continue to structure your prep program, it is important to take a full exam. Additionally, in the scope of your business school application, it’s important to know the average GMAT score of the schools you are applying to. Here is a list of the top business school programs and their associated GMAT scores to get you started. Our 8 Strategy Guides, organized by topic, have been around for several years. However, we were seeing some students who hadn’t looked at math in a LONG time and wanted a refresher. So, after months of development, we are very happy and proud to announce the publication of our brand new Strategy Supplement, the Foundations of GMAT Math! This book starts from the basics to give students those “Oh yeah, NOW I remember how to FOIL” moments. We start with Order of Operations/PEMDAS and algebra, and go from there to fractions, geometry, exponents, divisibility and other flashback-inducing topics. If you’re confident in your math skills, you may not need this book at all. But otherwise, you may like it a great deal. You know who you are . . .
All Manhattan GMAT Course Students will receive this book for free as part of their course materials. If you’ve already started your course and want this book, contact studentservices@manhattanprep.com/gmat/ and they’ll hook you up (you may have to pay shipping depending on your location, but the book will be free). Kudos to our curriculum wizards for their latest contribution to the best in GMAT Prep! 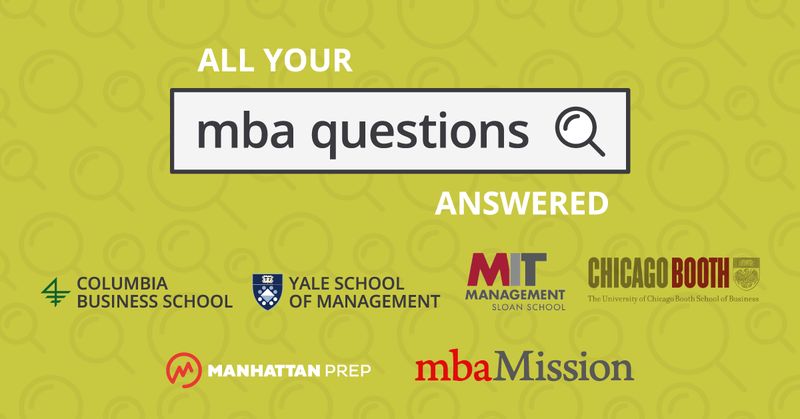 Our friends at mbaMission have put together an impressive set of Insider’s Guides to Top Business Schools. These guides can be very useful in distinguishing one school’s program from another and helping students tailor their essays accordingly. We are VERY happy to report that current Manhattan GMAT Course Students will receive one of these guides (a $25 value) for FREE. If you’re a current student, go to your student center and click on the right menu on the top call-out. Or click on this link and log-in. Thank you mbaMission for making this benefit available to our students! About 2 years ago, one of our L.A. Instructors, Mike Kim, suggested that we provide a math curriculum for students who want a refresher on fundamental math topics (e.g. fractions, algebra, etc.). We thought it was a fantastic idea. Being an extraordinarily productive guy, Mike went on to author the Foundations of GMAT Math Workshops I and II which take place online (it turns out there are too many fundamental math topics to teach in one sitting). 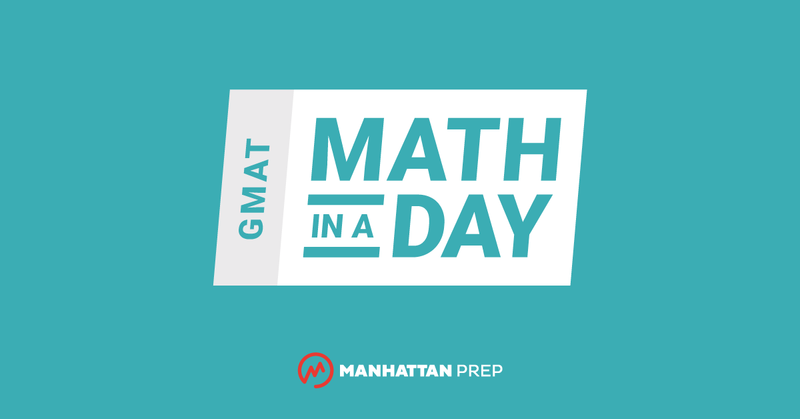 Now, the Foundations of Math Workshops will be available for free to any Manhattan GMAT course student. If you are a course student, you can simply go to the website and add the Foundations workshops to your account. You will immediately receive access to dozens of practice problems in your student center as well as class recordings, and you can attend the next scheduled Foundations workshops live. For non-students, the Foundations of Math Workshops will each be available for only $95. Additionally, if you end up signing up for a course after taking the Workshops, we’ll credit you whatever you spent on the workshops, so they’ll essentially wind up being free for you too. Remember, these workshops review foundational math topics such as algebra, basic geometry, fractions, etc. They’re very useful if you need a refresher because you haven’t seen the math in a long while, but if you’re comfortable with the math already you can feel free to go straight to the Official Guides, Strategy Guides, etc. P.S. The Foundations of GMAT Math Book is due out this Fall, as Mike’s original idea is taking multiple forms to reach as many people as possible.